IN1148. Possibly a WW2 era epaulette slide in red with RAAF embroidered in white. Backing appears to be paper? IN901. A khaki drill slide with RAAF embroidered in blue, circa 1950s. IN1085. A khaki drill slide with RAAF embroidered in red, circa 1950s. Named to W. R Chapman. IN1144. Light khaki cotton slide with RAAF embroidered in blue, circa 1950s and 1960s. IN974. A variation of above with a smoother material and improved embroidery. IN1145. A light khaki cotton slide with Australia embroidered in blue. IN1146. A variation of above with a smoother material and improved embroidery. IN1066. 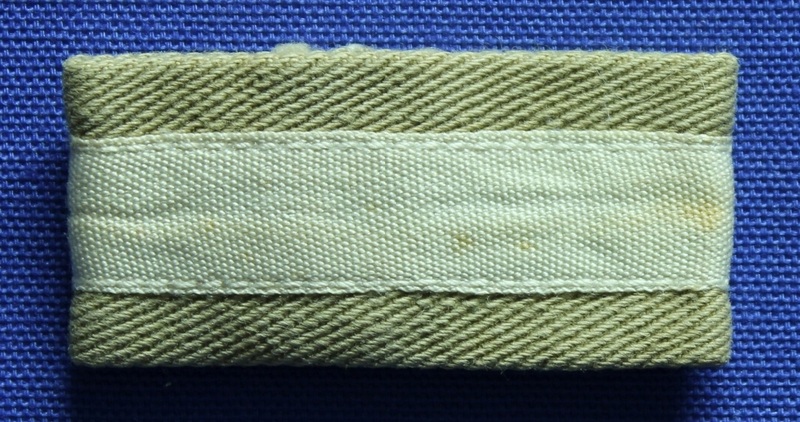 A khaki drill slide with white tape for an Officer Cadet. IN1147. 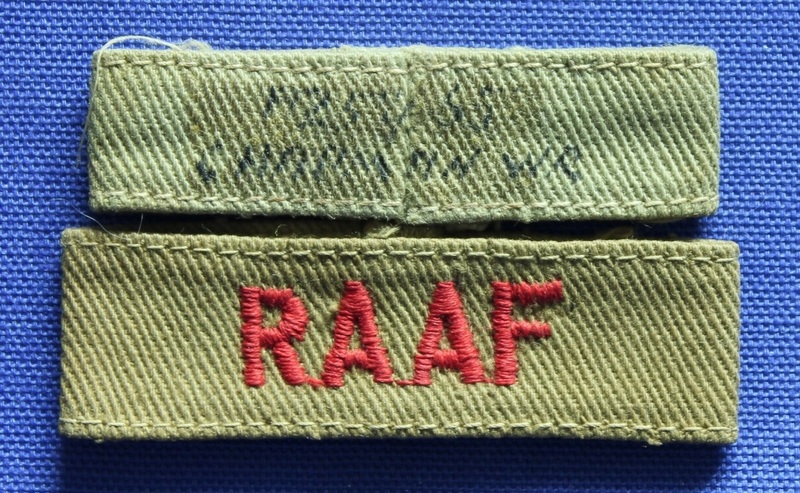 A jungle green cotton slide with Australia embroidered in blue for the combat uniform, worn by dog handlers. IN913. A light blue cotton slide for the All Seasons blue shirt introduced in 1972. IN1516. A light blue cotton slide for the All Seasons blue shirt introduced in 1972. It has heavier embroidery. IN293. A light blue cotton slide for the WRAAF walking out dress introduced with the All Seasons uniform.